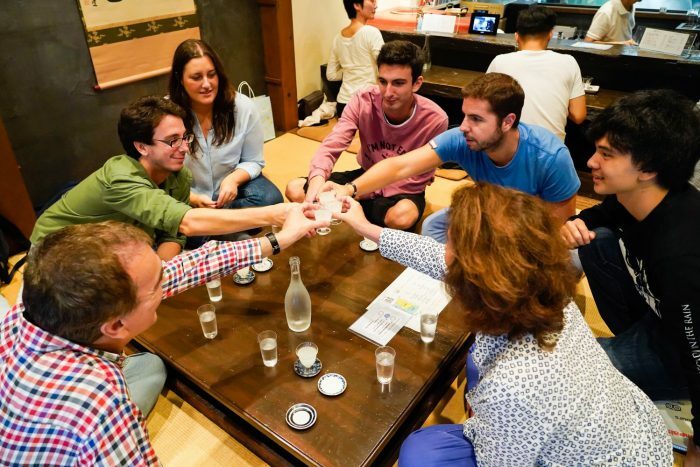 Welcome to our sake tasting experience in Kyoto. Fushimi area is famous not only Fushimi Inari but also for sake production. 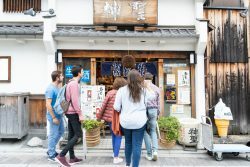 Kyoto stands 2nd in sake production in Japan. Kyoto’s sake is considered sweet sake because of its soft and mellow water. We’ll explore at least two of our favorite breweries. We’re passionate about sake, and we’d like to share with you the process of sake making, comparing different kinds and brands. You will taste the differences between sakes—the highest quality, unfiltered, unpasteurized, and many other seasonable sakes. We’ll visit breweries, founded almost 400 years ago. 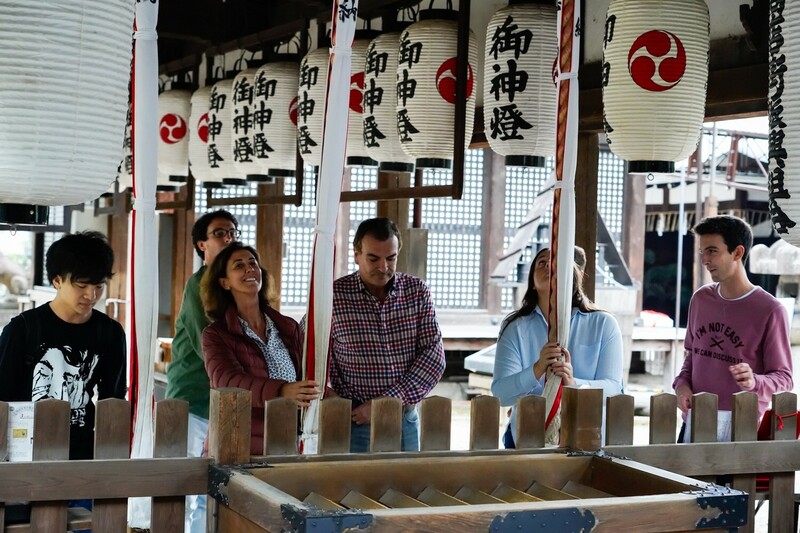 You will get to know the production method, while getting a feel for the deliciousness by tasting freshly made sake. 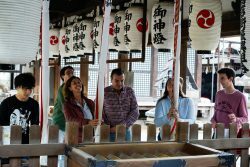 We can also taste some sake in the beautiful garden! Try only local unpasteurized sake and a traditional wooden flavored sake . Finally, we’ll visit a food court where that will have all of Fushimi’s sake available to taste. 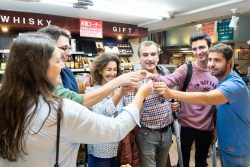 We can taste up to 17 varieties from Fushimi area at the one place! It’s a hidden gem in this area. 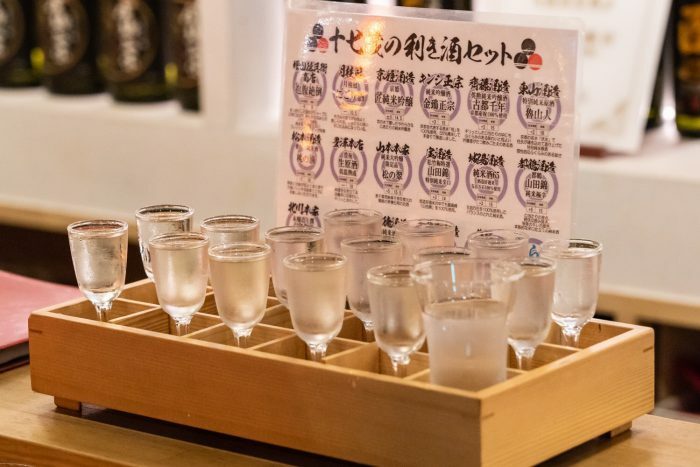 We’ll help to find your favorite type of sake! starting this tour, we’ll visit landmark local shrine in fushimi area. Pray your happiness, health, success and more. Ancient people found water is pure, heal illness, then ancient imperial named “Gokounomiya” in 6 century. Nowadays, once a year, there is a famous tea ceremony in this shrine. *On Wednesday might be the other brewery. 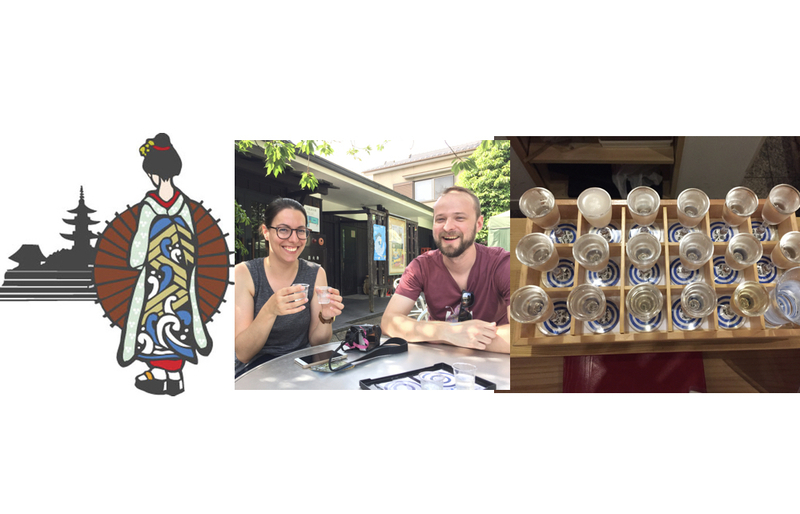 At this local brewery, they offer over many varieties of sake coming from small batch. 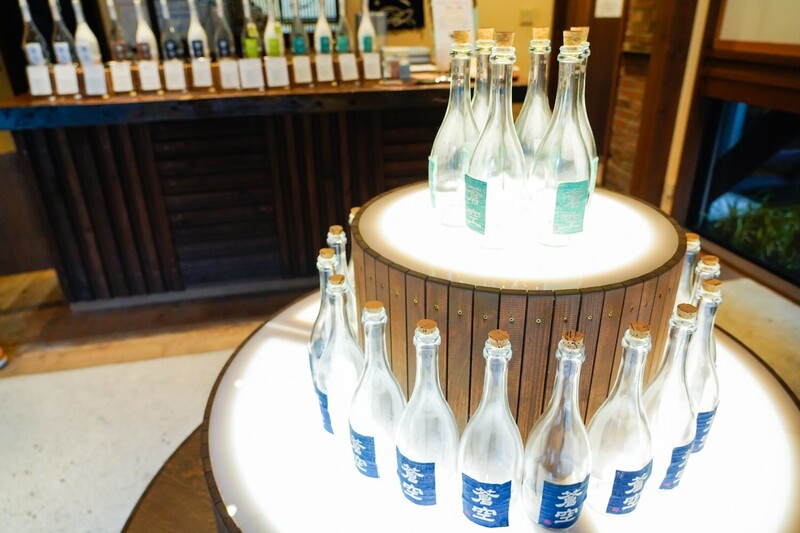 We will taste 3 different sakes chosen for us such as refreshing sake, cloudy sake and high quality – fragrant sake. The liquor shop run by 4th generations over 100 years. They are very passionate about sake. Let’s compare 3 grade sake, 1st grade Daiginjo to 3rd grade Junmai. You’ll find basic sake. Established 1677 in Fushimi, it’s a small brewery. We’ll try unpasteurized, fruity and dry sake. They got a gold medal of Kura master, famous competition in France. Established 1637 in Fushimi, the first brewery is ranked second biggest brewery in Japan. Harmony and innovation, these are the mottos in this brewery. They experiment with new types of sake every year. We’ll tour a sake brewery that has a museum and offers a small souvenir; a 180ml bottle of sweet sake. It’s a hidden gem, even to locals. Sake bars from all of Fushimi and 8 restaurants work together in this establishment. Sit down at the bar and simply enjoy your choice of food being delivered straight to you from the restaurants. There is a tasting set menu 17 types of sake (Special Discount). 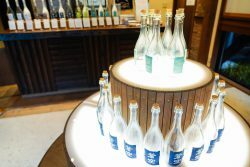 Optionally, you can choose different foods to eat along with the sake tasting. I welcome you to join my sake tasting experience in Kyoto, where we’ll explore at least two of my favorite breweries and two local bars. 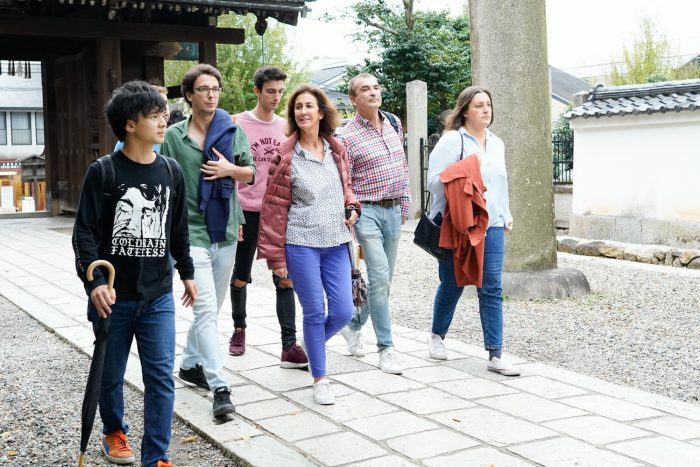 This area is famous for producing excellent sake, in part due to the fact that they use “Fushimi”, a sort of precious holy water, to create their elixirs. 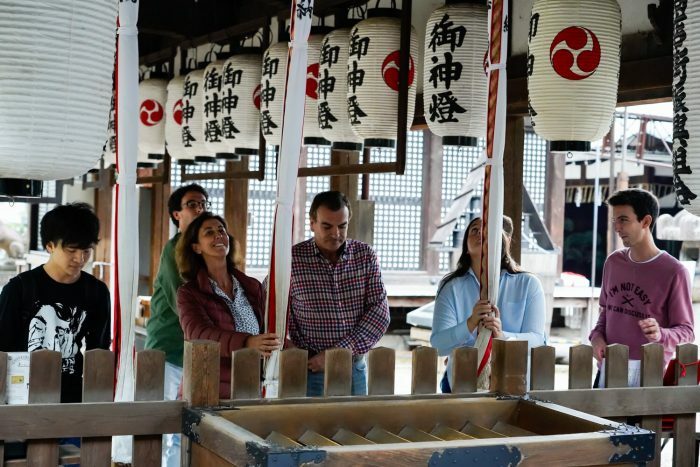 We are passionate about sake, and we’d like to share with you the process of its fabrication, comparing different kinds and what makes Kyoto’s sake so special. 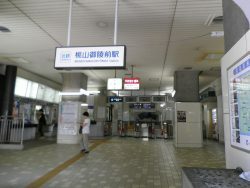 In front of the ticket gate of Momoyama Goryoumae station on Kintetsu line. It takes 15 minutes by train from Kyoto station on Kintetsu line. 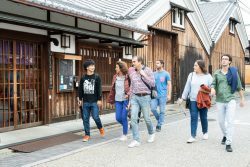 *Please note that museum entrances are aren’t included for kids under the age of 19 and that it will be an extra cost of 400¥.